Expecting The Italian's Baby / One Night to Wedding Vows / Expecting the Fellani Heir / The Shock Cassano Baby · Wedlocked! Despite her wild reputation, Lara Gray is a virgin. 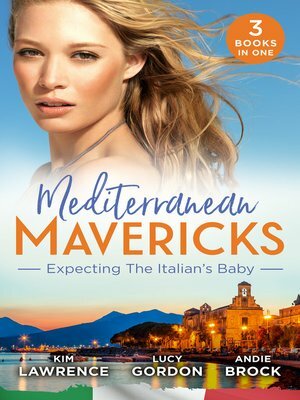 So when she's swept off her feet by the most gorgeous man in Rome, Raoul Di Vittorio, she is shocked by the passion awakened within her after just one night. But what Lara doesn't know is that Raoul needs a temporary wife after his last disastrous marriage blew up in smoke. Stunning, sophisticated Lara might be the ideal woman, but first this tenacious tycoon must persuade her down the aisle and show her exactly what the benefits of being the new Mrs Di Vittorio can be! It was a night she should never have surrendered to, but Ellie can't regret the blissful hours she spent in Leonizio Fellani's arms. The steely businessman showed her his softer side and it melted her heart...but working together means he should be off-limits!